After dedicating two years to raising iodine levels in organic milk products, the United Kingdom’s Organic Milk Suppliers Cooperative (OMSCo) announced in February 2016 that it has successfully maintained satisfactory iodine levels in organic milk for a significant period of time. 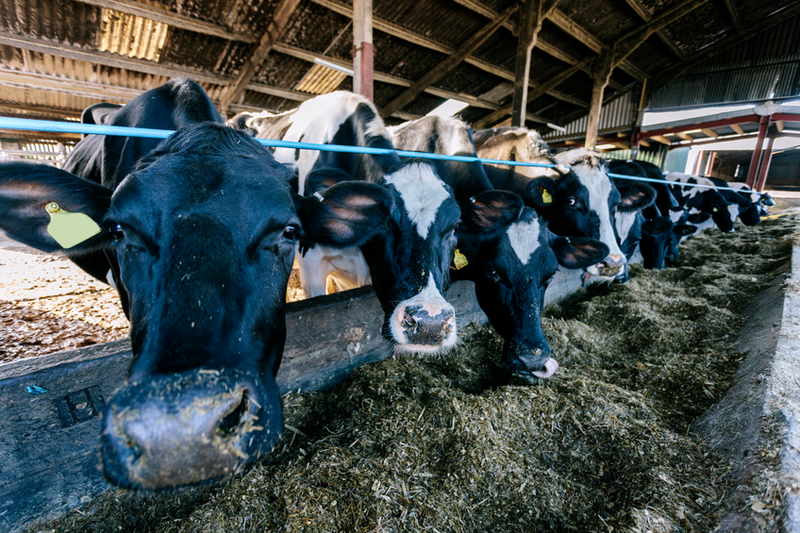 This marks a significant accomplishment for the organic milk industry in the U.K.
Several key differences exist between conventional bovine milk and organic milk. Some of these differences are evidence of organic milk’s superiority. For example, organic dairy products contain a higher concentration of omega-3 fatty acids than conventional products. Organic dairy is also higher in vitamin E and beta-carotene. Unfortunately, not every difference between organic and conventional dairy products is a positive one. Studies have also shown that most organic dairy products contain less of the essential element iodine than conventional products. This anomaly is likely due to the difference in the diets of cattle raised on organic farms and cattle raised by conventional farms. While cattle on conventional farms receive processed foods and supplements that raise their iodine levels, cattle on organic farms are primarily grass fed and don’t receive supplementation. Iodine is an element that is essential for proper functioning of the human body. Individuals with low levels of iodine often experience thyroid problems, as well as related medical issues. In the United States, iodine is added to table salt in order to prevent deficiencies in the population. However, in the United Kingdom, salt is not iodized and supplementation is not added to any other staple consumed by the people. Thus, having a lower than average level of iodine in organic milk is undesirable and may lead to iodine deficiencies among regular consumers. In response to low iodine levels in organic milk, the OMSCo launched a project in 2014 designed to boost iodine levels in its members’ products significantly. This project involved 250 members of the OMSCo that agreed to make an effort to increase iodine levels. After one year, testing showed that the iodine levels in the members’ organic milk were comparable to those found in the conventional market. Recent testing shows that the farms have been able to sustain these levels through their continued efforts. The OMSCo has pledged that it will continue to monitor iodine levels in members’ dairy products closely in order to ensure that customers are receiving a high-quality, nutritious product. Iodine is a scarce element. However, farmers must be sure that their cattle are consuming enough of this element to produce nutritious milk. At Ajay SQM Group, we have developed an innovative iodine recovery process that allows us to provide our customers with a continuous supply of iodine products. Contact us to learn more.